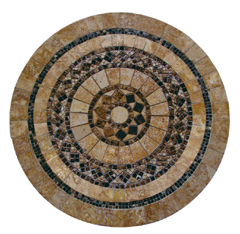 Our entire line of natural stone coffee tables can be custom crafted into just about any size that you want, allowing you to choose a piece which will be as large and as shapely as you might need for the room you are setting in it. 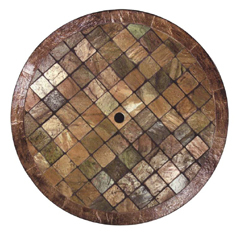 Diverse designs, mixed with innovative techniques make our tables a cut above the rest. 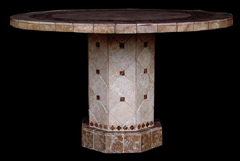 Tables customized into your choice of size, shape, and various optional features. 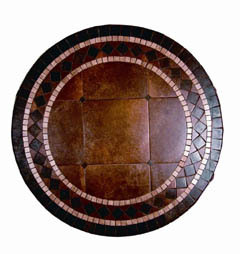 This coffee tables is a powerful burst of colors, a hue washed medley of gold and copper tones, that stretches from square to square, evoking a unique personality in each piece, and yet matching in colors and tone across the entire surface of the table top. 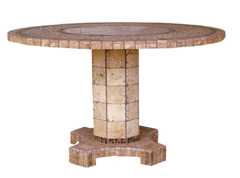 Our tables are all built using a super light weight core which is highly durable, making the coffee tables that we produce lighter, stronger, and more resistant to damage from the elements. 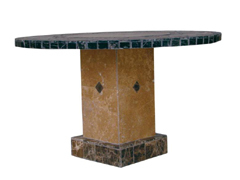 Each piece of stone that we use in our tables is 100% unique, born over millions of years beneath the earth, developing its own demeanor and personality before bursting forth to the light of day, only to be refined, worked, sawed, and sliced down into the pieces used in these stunning tables. 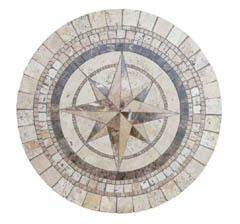 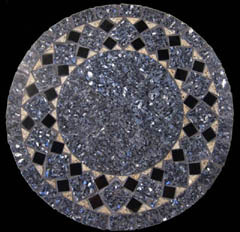 Absolute darkness, 4 panels of purest midnight black intersect at the center of this attractive natural stone table, creating a stunning medallion cure which then radiates outward in bursts of contrasting color. 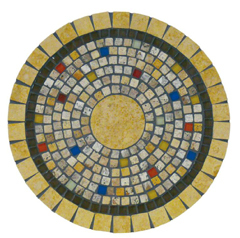 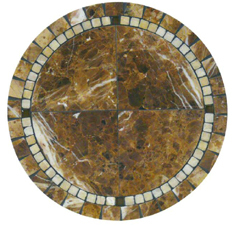 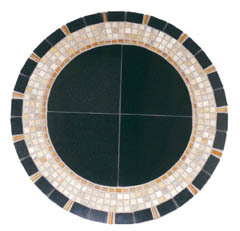 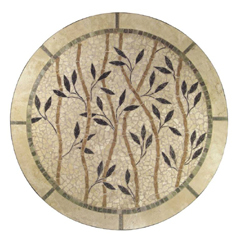 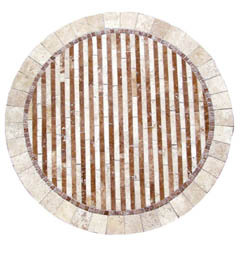 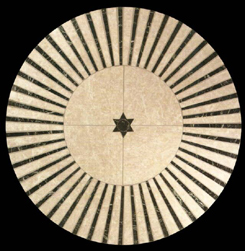 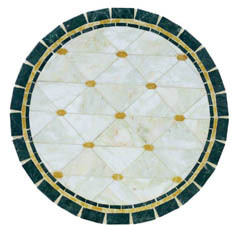 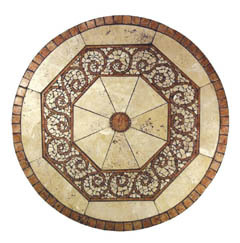 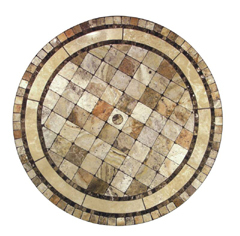 Circles of contrasting colors radiate outwards from the starry center of these attractive mosaic designs, creating a fierce and elegant interplay of light and dark, the result of which is a refined, and sophisticated demeanor. 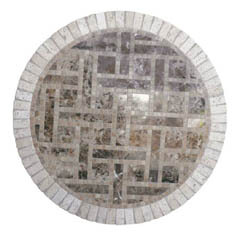 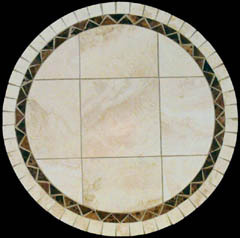 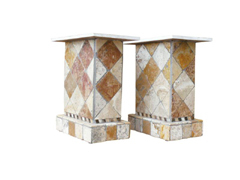 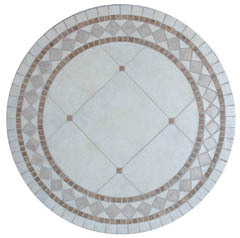 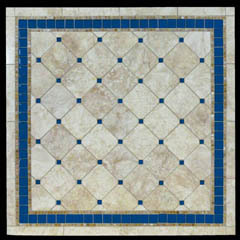 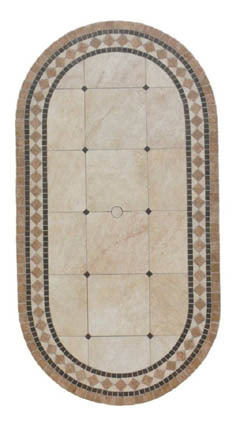 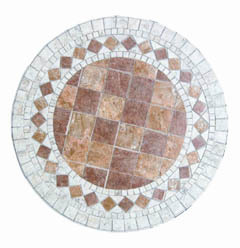 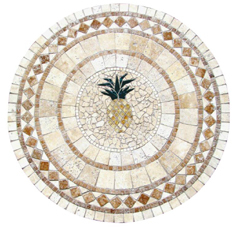 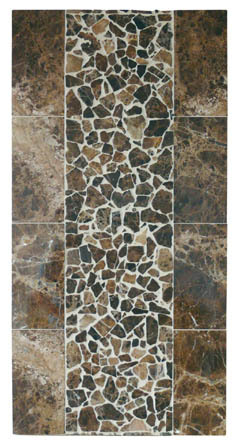 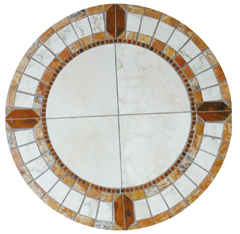 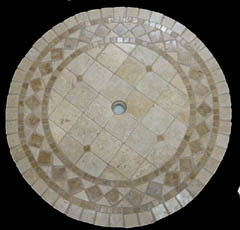 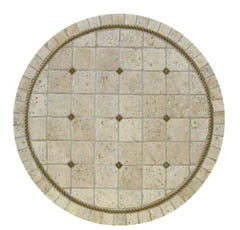 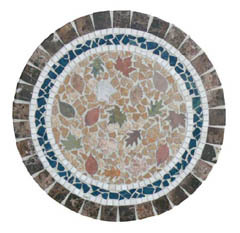 Customized to match stone and mosaic pattern of the table top you selecet. 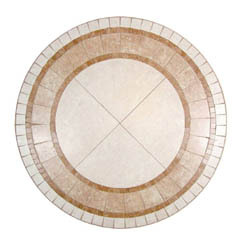 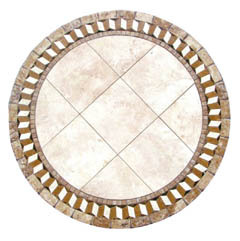 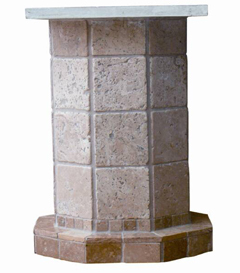 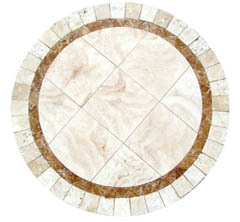 Built for rectangular and oval table tops measuring 42"X76" in size or larger.